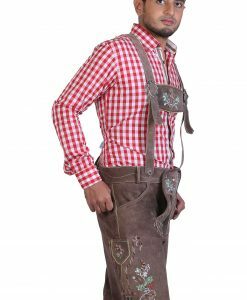 These Bavarian leather shorts in Shady Brown are made from 100% suede leather. 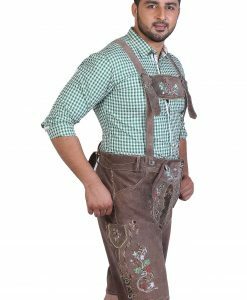 These traditional German lederhosen in vintage appeal with green, red, and gold delicate embroidery feature a high contrast color scheme. 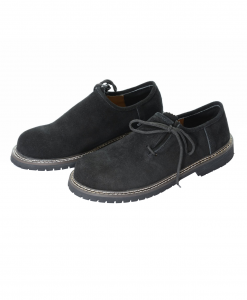 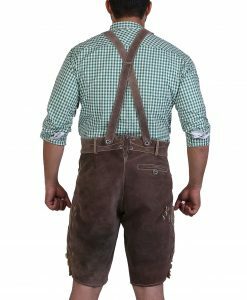 The robust shady brown natural leather looks of these authentic lederhosen gives the casual yet decent seem. 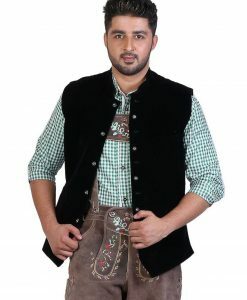 While the elaborated deer and oak leaf embroidery embellishment on bib, thighs, and suspenders adds the modern touch. 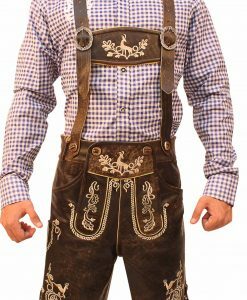 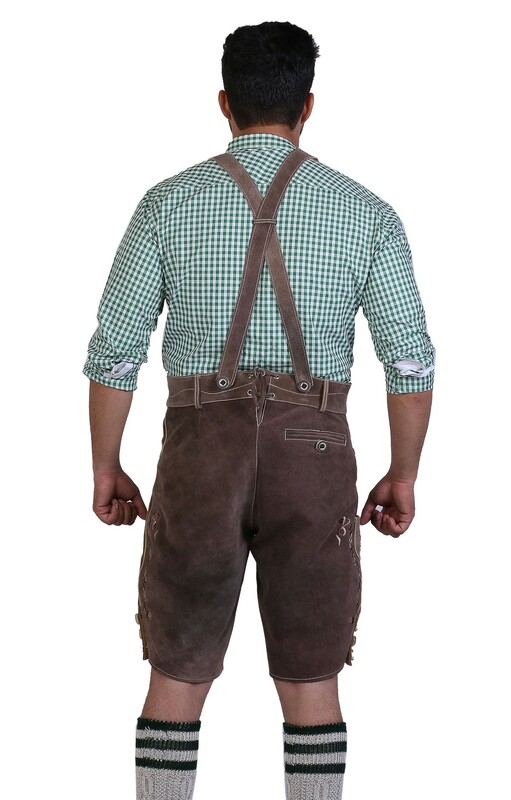 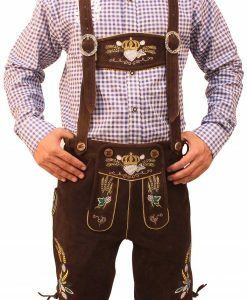 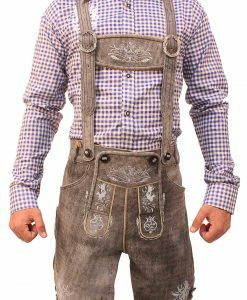 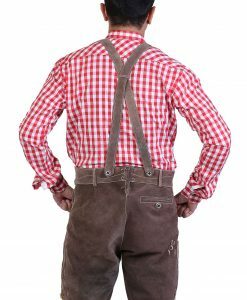 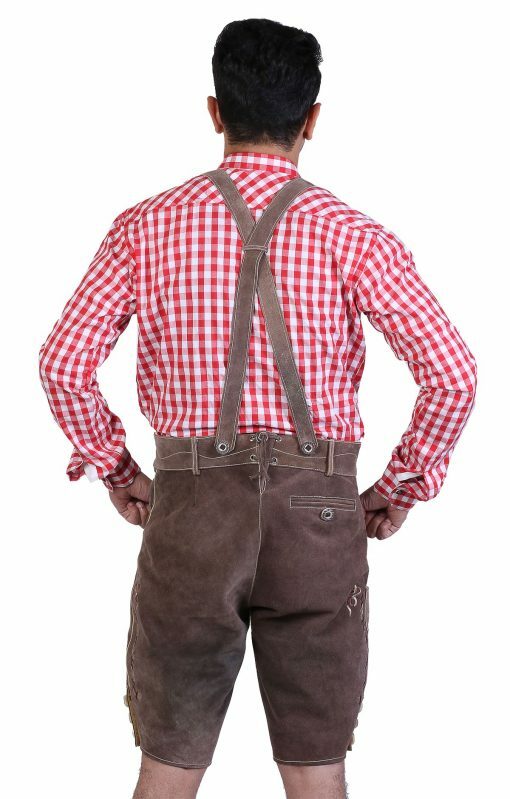 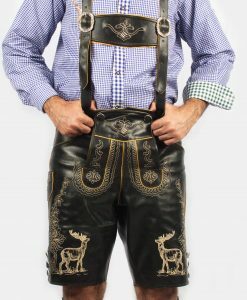 The lederhosen suspenders come with silvery buckles that fasten to the shorts with horn buttons. 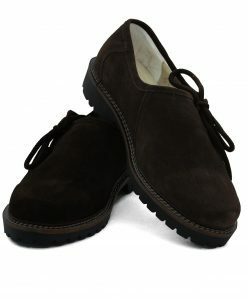 The same horn buttons are found intact on the legs to round off an exceptional intricate design. 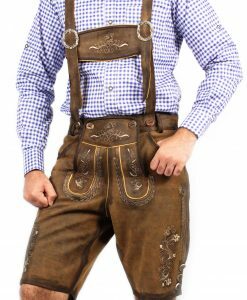 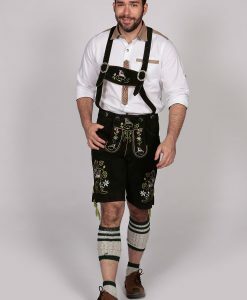 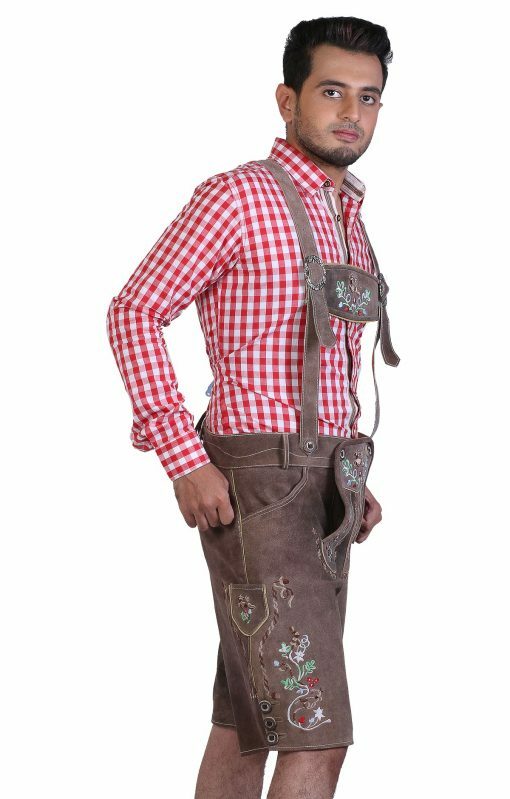 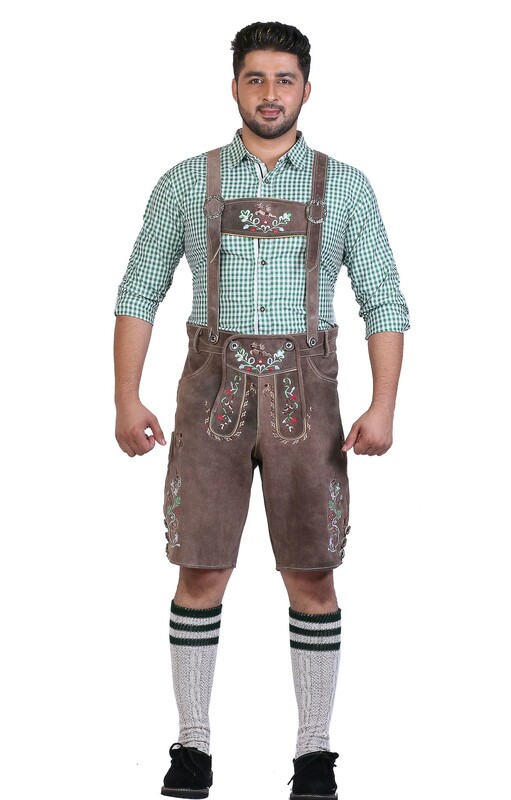 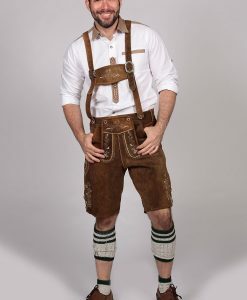 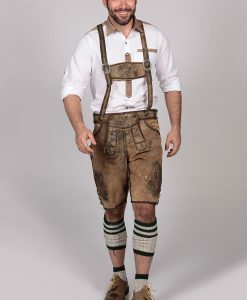 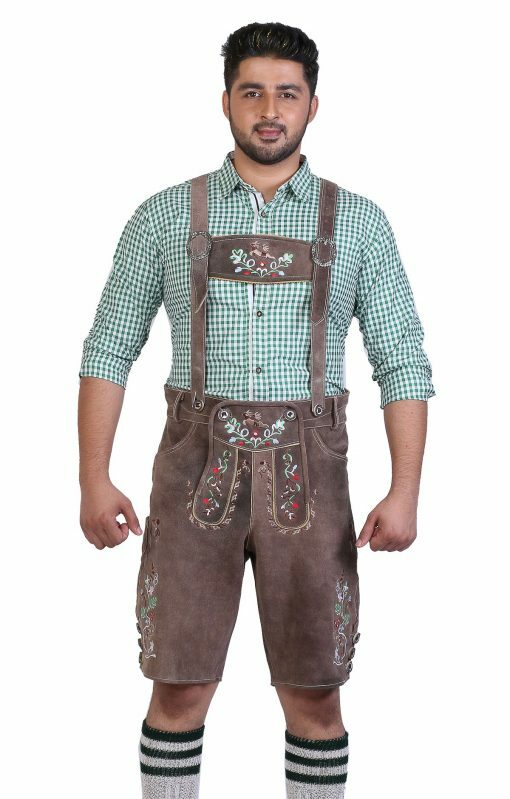 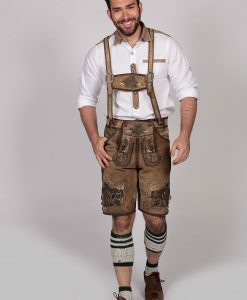 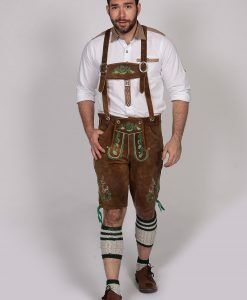 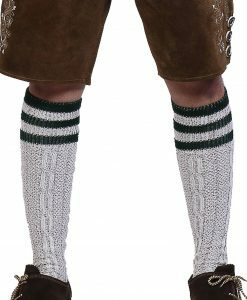 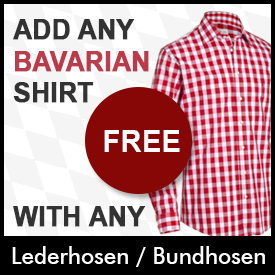 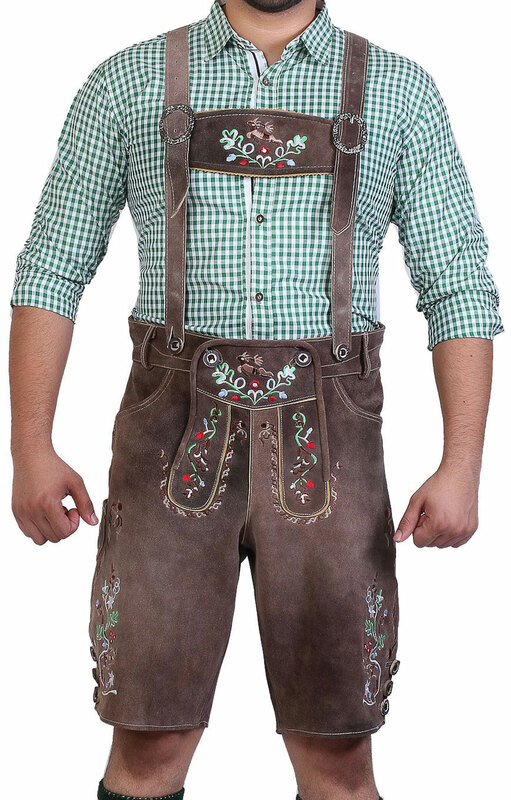 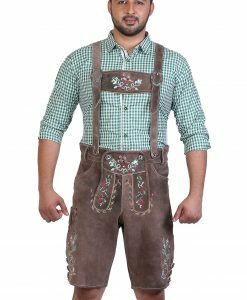 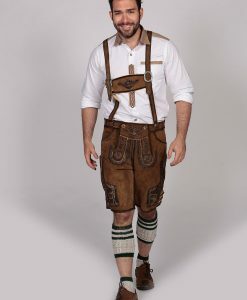 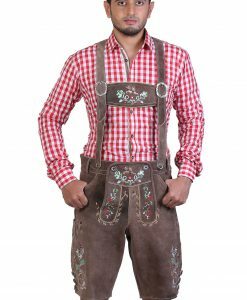 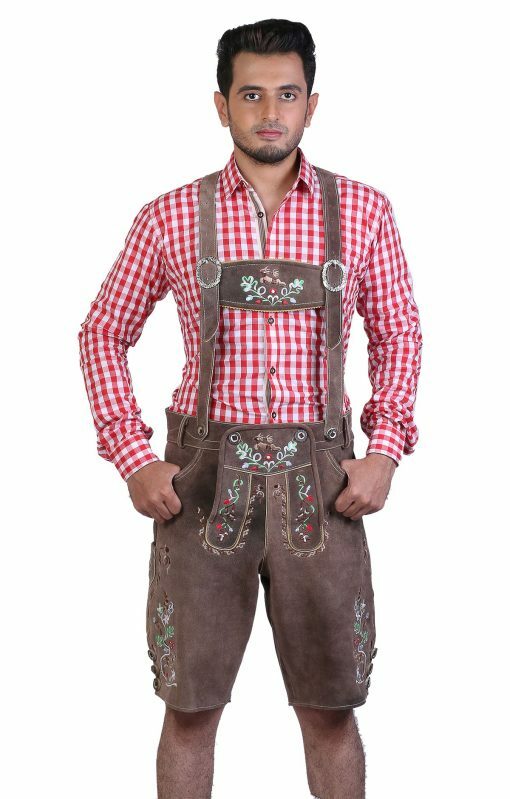 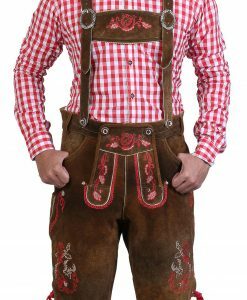 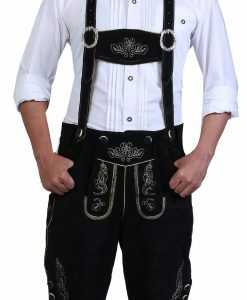 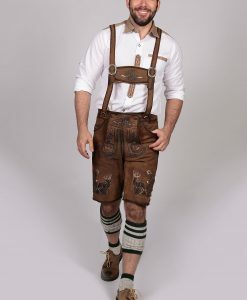 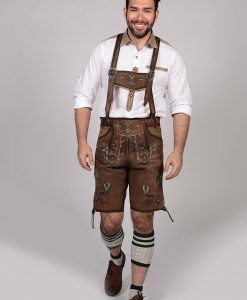 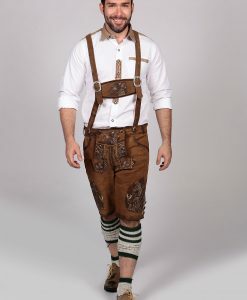 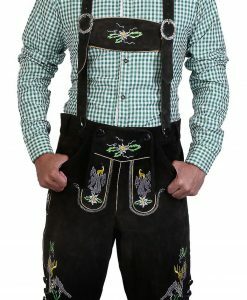 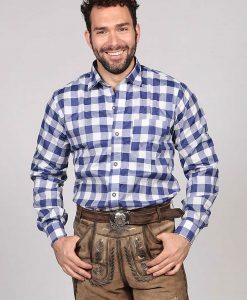 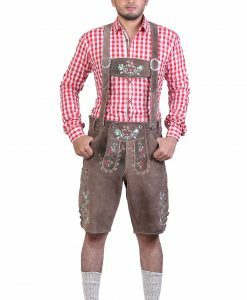 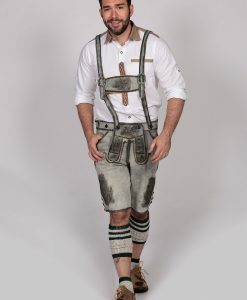 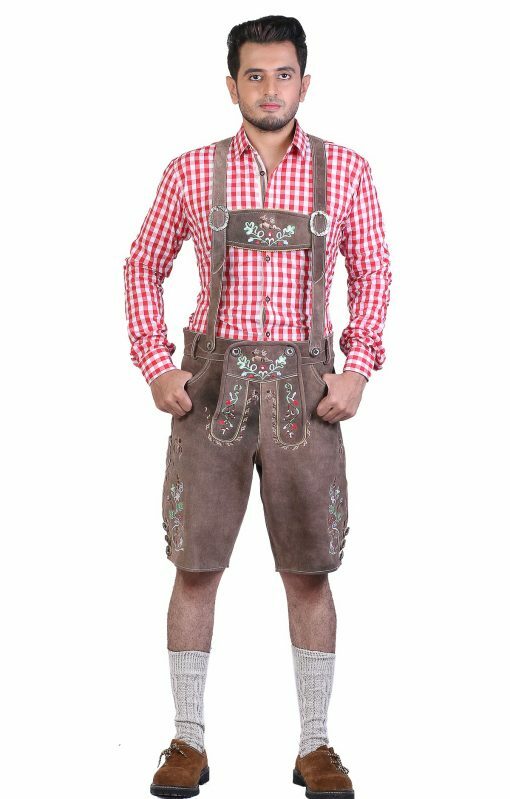 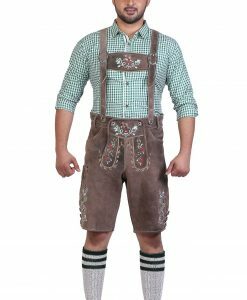 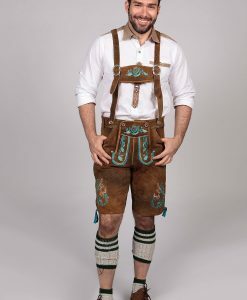 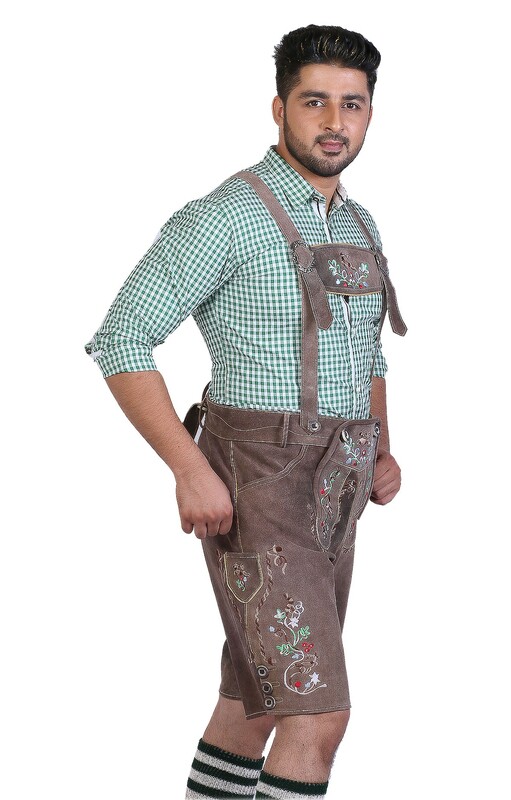 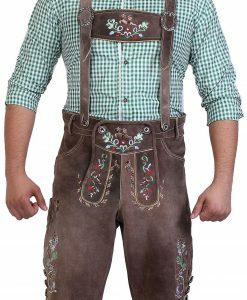 Complete your Oktoberfest outfit from our online store-showcase your Bavarian look!